NEW BRITAIN - After more than three decades in business, Jack of All Trades Remodeling Co. continues to grow as it is now selling kitchen cabinet lines from mid-range to high-quality cabinets. 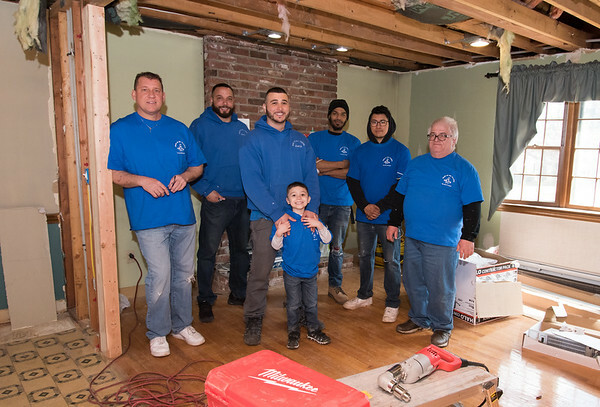 Jack of All Trades is a full-service remodeling company that does everything from economical projects, carpentry and tile to high-end bathrooms and kitchens. The company is a family business, owned by Dan St. Laurent and his son, Danny St. Laurent. Jack of All Trades Remodeling is a division of SL Associates. Together the two companies remodel, develop and buy and sell properties in addition to the new kitchen cabinet business. According to St. Laurent, the reason his company decided to take on the cabinet business is that most of the renovations required new cabinets in kitchens and bathrooms. St. Laurent is happy the business is taking a different direction and he owes it to his son Danny, he said. “It’s because of him. His energy is really making a big difference in the direction we are heading,” St. Laurent said. Jack of All Trades Remodeling Co. has quality as one of its most important values. St. Laurent started the business 33 years ago with his brother, Timmy St. Laurent. Dan is a mechanical engineer and Timmy was a chemical engineer, but because they went through layoffs, they decided to take on their own business. Timmy died in 2006 and soon after, St. Laurent’s son, Danny, joined the business. To learn more about Jack of All Trades Remodeling Co., visit jackofalltradesremodeling.com or call 860-223-3344. Posted in New Britain Herald, Business, on Thursday, 21 March 2019 20:35. Updated: Thursday, 21 March 2019 20:38.